TomTom, the world’s leading provider of location and navigation solutions, and Telenor Connexion, today announce a partnership to bring TomTom’s new generation navigation device GO LIVE 1000 to the Nordic region. The device, to be sold in the Nordic market, uses Telenor Connexion’s global SIM technology for delivering real-time connectivity seamlessly across up to 33 countries across Europe. With the GO LIVE 1000 a one year subscription of the LIVE services is included. The suite of LIVE services include TomTom HD Traffic™, a real-time traffic service which gives accurate and up-to-date traffic information, local search, weather and more, helping drivers save time, money and fuel. The TomTom LIVE services are as of today launched in Norway, Sweden, Denmark and Finland. – Our customers are relying increasingly on their navigation devices and car navigation is no longer about the destination alone, but also very much about the journey itself. Telenor Connexion’s reliable connectivity solutions and qualified data, coupled with the GO LIVE 1000 and HD Traffic™ will get Nordic drivers to their destination, easier, safer and faster than ever before, says Mike Schoofs, VP Northern Europe, TomTom. 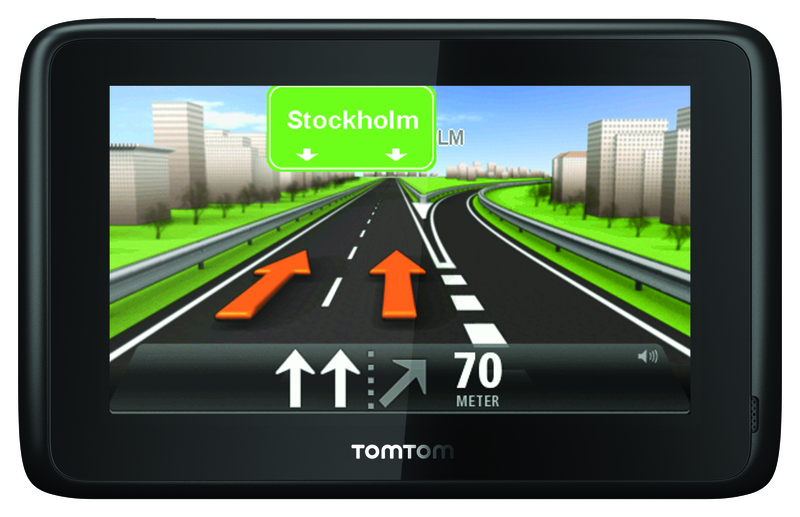 – We are extremely pleased to be working with TomTom to bring this innovative service to Nordic drivers. The partnership brings together the powerful TomTom brand with Telenor Connexion’s proven track record in M2M. By offering TomTom a single SIM solution for the Nordics, we are allowing ease of roaming in all of Europe, says Gwenn Larsson, VP of Sales EMEA at Telenor Connexion. The TomTom GO LIVE 1000 (4,3” screen) and TomTom GO LIVE 1005 (5” screen) are TomTom’s latest PND’s and comes with TomTom’s award winning LIVE services, has a fluid touch screen, parking assistant and a magnetic mount for easy use in the car.